Welcome to our website. 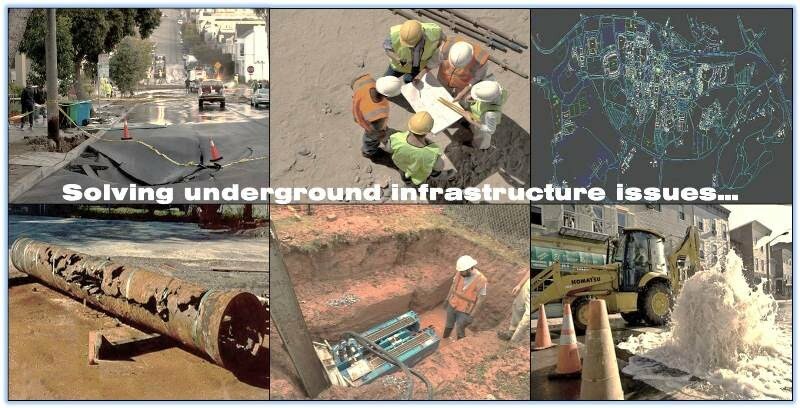 This website is dedicated to showcase activities of the underground infrastructure systems research group at Clemson University. Our group focuses on the development and validation of decision-making models for making underground infrastructure systems more sustainable and resilient. With primary focus on water supply systems, we are interested in developing better design, construction, and management alternatives for a sustainable future water supply. Our group also focuses on understanding and modeling the interdependencies among critical lifeline infrastructures in order to enhance their collective resilience against natural and anthropogenic hazards. Our research is partly inter-disciplinary in nature and we collaborate with experts in power systems engineering, wireless sensing systems, and graph theory. Potential direct beneficiaries of our research include water utilities, power utilities, underground construction contractors, underground consultants, emergency response teams, and other related government agencies. Please send your comments and questions to Dr. Piratla at kpiratl@clemson.edu. Note to Prospective Students: Please go through this website and learn about our group’s research. We will try our best to post open positions on this website, but it is possible that there might be positions that are not posted on this website. If you are truly interested in cruising along with our group, email your resume to Dr. Piratla expressing your interest. Research assistantships may be available for prospective PhD students. If you don't hear back from Dr. Piratla, it probably means he is not looking to recruit new students.